At Kaplan Dental Clinic in West Toronto, we offer tooth extractions to help preserve the health of your mouth and prevent future tooth and jaw problems. If you think you require an extraction, please book your appointment with us today. A tooth extraction, often referred to as having a tooth pulled, is sometimes necessary for both adults and children. For adults, although permanent teeth are meant to last a lifetime, a number of conditions may arise that will prompt your dentist to recommend a tooth extraction. If you require a tooth extraction, the first step is an injection of a local anesthetic to numb the area where the tooth will be extracted in order to prevent any unnecessary pain. The dentist will then extract the tooth and will pack the socket with gauze to stop the bleeding. In some cases, the dentist will perform a few stitches to help close the extraction site. 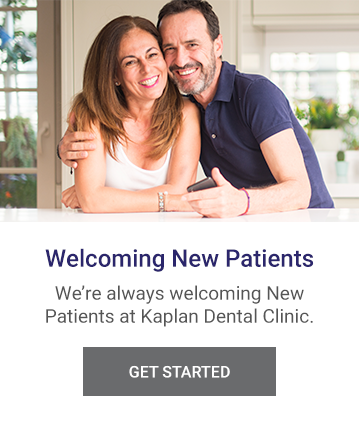 After your procedure at Kaplan Dental Clinic, if you experience any pain or discomfort, or if you feel there is a problem, contact us and we will be happy to help you. If you have experienced a dental emergency, it is important to get treatment as soon as possible. We don’t want you to experience any long-term damage or pain. My team and I are here to help you!